I’ve paraphrased President Reagan’s thundering words because many of the reasons for the removal of that government barrier also apply to the ugly barriers politicians divide us by today. Our politicians insist on scoring own goals! One of the very few unfortunate qualities of being a Canadian, Australian, Brit or New Zealander, are the embarrassing visas our governments impose between us. It seems offensiveabsurd to me that we four Commonwealth citizenries, our ‘Family of Four,’ should suffer such mistreatment at the hands of our supposed political betters. In this piece, I shall attempt to arm you with some of the arguments in support of a fairer immigration policy between our Family of Four. As I’ve touched upon before, is it really too much to expect your MP to appreciate our common heritage, our common ancestry of British contact exploration and national foundation? Without this, our great nations would not exist as we know them today. And, albeit imperfect, our Family of Four are among the best places on Earth to live, consistently voted so in polls. “Keep the beggars out?” Comparable wealth disparity is often cited to justify strict immigration controls over still developing countries, lest a “flood” of people from a poorer nation swamp and drown the wealthier one once the boom gate is lifted, or so the saying goes. However, that argument becomes weaker than a used teabag when applied to us: We Four enjoy developed prosperous economies of comparable wealth. What about our shared values, ladies and gentlemen? Values cannot be understated. As children of Enlightenment England, our Family of Four cherish the same classical liberal values, which can be summed up in that profound Australian maxim: “a fair go, mate!” Our values aspire to respect equality, meritocracy, freedom of speech, freedom of and from religion, private property, and self-determination, among others. These common values, underpinning our related cultures and traditions, unite us in a world often lacking them. Now, to some, it may be about as exciting as a tour of the box factory, but I am mightily thankful for our remarkably successful stable secure and open forms of government. When Sir Humphrey Gilbert, Captain Cook, and other British explorers landed on our respective shores, Canada Australia and New Zealand we were destined to inherit Britain’s political institutions: The Westminster System of Parliamentary Democracy. This blessed inheritance put our Family of Four onto the path of our successes. Our stable and open political institutions are unmatched in the world. The amazing societies we’ve built and enjoy today are testament to their success. And, on the ‘fair dinkum barometer,’ not having an overly farcical legal system is a pretty enjoyable feature our four countries share, I reckon. Our Common Law, arguably Britain’s greatest export of all, apart from our common tongue (which, we have each uniquely improved upon), has delivered to us all an impressive legal system, honed over centuries, based upon community expectations of justice openness and fairness. Bravo, the Commonwealth! You could also rightly cite that having the Queen on our currencies should account for something too. But, why not describe a kinship that goes deeper, much deeper, into our national histories and psyches: Not once but twice in the last century did our nations send our men to fight and die to secure Britain’s sovereign independence? Surely, our special family, sealed by blood and victory with one another, is deserving of a fair immigration policy from our MPs recognising our forebears’ shared heroic sacrifices? So, which greased up poles must we ascend before realising our goal? Well, that European Union looks particularly slippery. The subversive guest from Brussels at our Commonwealth table must be addressed. 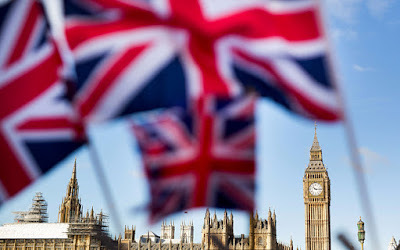 This threat to UK immigration sovereignty and Commonwealth harmony is enabled by British MPs intent on surrendering the UK’s hard-won sovereignty to the pernicious EU, which relentlessly staggers, zombie-like, towards total political unification: a United States of Europe. IF that tragedy happens, the UK, the mother nation of our Commonwealth, will be forever barred from independently coming to a fair immigration policy with us, or anyone for that matter. It will be reduced to a mere state under Brussels, joining Bulgaria and Romania et al, unable to chart her own course. This betrayal has even earned rebukes from other Commonwealth Prime Ministers. Fortunately, we can nip this noxious weed in the bud. 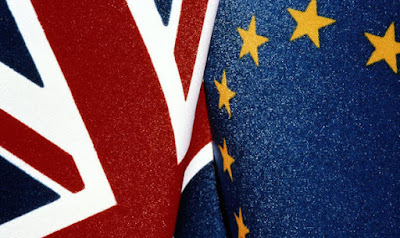 A referendum on the UK’s membership of the EU is looming. I have explained here that all Commonwealth citizens resident in the UK are entitled to vote, and how to register to do so. Please do. An independent UK, free of the EU, is free to refocus its overly EU directed economic and political outlook towards the whole world (in addition to mercantilist Europe, ironically). On its own terms, the UK would be free to also engage with Canada, Australia, New Zealand, our Commonwealth, North and South America, and centres of future economic power in Asia. The UK should not throw away the key to the handcuffs shackling it to an anaemic protectionist bloc. 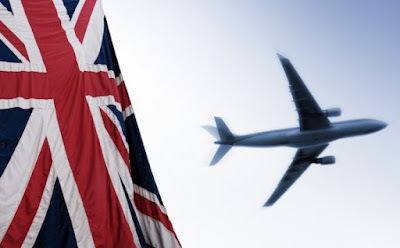 · – Think tanks, such as the Institute for Economic Affairs, having exploded the sophistries of jobs being dependent upon political union, or that leaving the EU necessitates a bad outcome for the UK. Indeed, the IEA outlines ‘Four different options for the UK in the event of a vote to leave the EU.’ Opportunities worth discussing. So, tell dissenters that if you actually look for them, there are potent rebuttals to the EU rabble’s distress that the UK is too “pathetic” to succeed under its own steam. If Canadians, Aussies and Kiwis can survive and thrive independently, Brits will too. They have before. The economic reality is that immigration between our nations is a net positive. Immigrants tend to be younger, working and net tax contributors. Their efforts result in a lower overall tax burden for domestic workers, which is obviously a good thing. But, the real gains are in the unseen exchange of ideas and methods which beget increased efficiencies and competitiveness. These result in higher wages and living standards and lower prices than if these people were restricted from contributing to your economy. OK, time to talk visas: what form should they take, any examples? Yes, you can cite today’s relationship Australia and New Zealand enjoy being extended to Canada and the UK. And, prominent British MP and London Mayor, Boris Johnson, has proposed similar. John Humphreys, of the Australian think tank, The Institute of Public Affairs, goes even further, to the logical conclusion of advocating ‘Free Immigration Agreements’ between our countries. Such proposals are very attainable, and enjoy overwhelming support in our four countries according to the Royal Commonwealth Society’s survey. Also, if you’re of the anti-monarchy pro-republican persuasion, that doesn’t preclude your support for our Commonwealth either. As the Queen’s reign sets, one of her crowning legacies is our Commonwealth. Despite there being republican movements within our respective countries, these cannot erase history. Republicanism does not require divorce from our Commonwealth, nor do our republican movements wish to. You can enjoy your Commonwealth membership cake, with a republican cherry on top. It’s overdue for the governments of Australia, Canada, New Zealand and the UK to treat us fairly, to recognize our shared history values and sacrifices, to heed common sense! It’s also overdue for you and I to agitate for the removal of their unfair visa barriers between us. Email your MP. I shall too. ⟵Passport Swapping: A New Idea For 21st Century Immigration?